Sometime in June in northern Wisconsin as the daylight begins to fade big brownish mayfly nymphs will begin to crawl out of the silt and muck and wiggle their way to the surface. These nymphs are the brown drake (Ephemera simulans) and can be found in many of the northern Wisconsin trout streams. 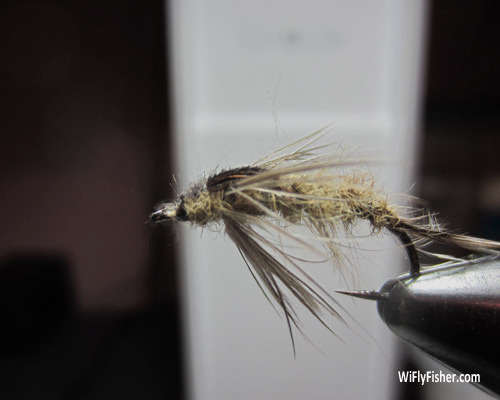 For the brown drake nymph pattern I prefer to use a curved hook and a dubbing loop to make the abdomen more fluffy like the natural's gill plates. 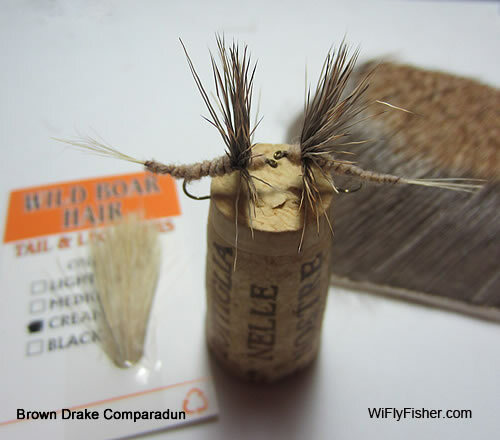 Click here for the Brown Drake hatch. 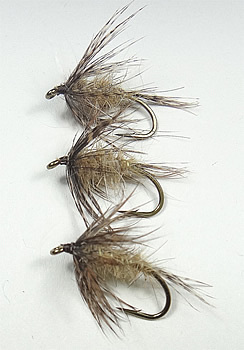 The Partridge 15BN size #14 is a big hook, a similar hook size would be a Mustad 9672 size #10. Mallard shoulder feathers have a thicker barbs which I like for these bigger nymphs. The burrowing brown drake nymphs have flared feathery gills along the sides of the abdomen, so a dubbing loop helps give a simialr effect to the nymph imitation. 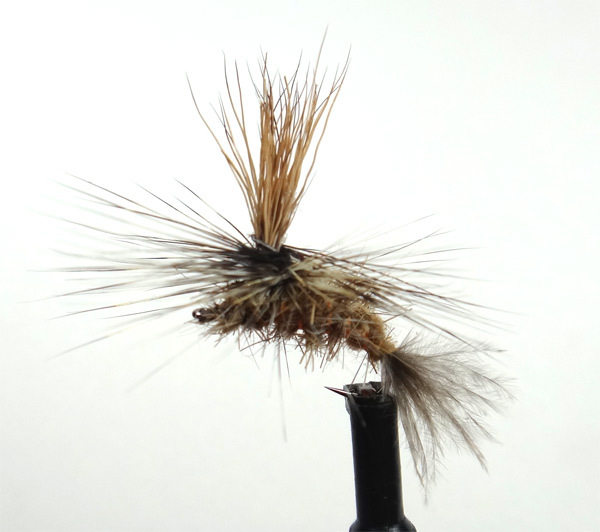 This is really similar to the nymph pattern except the mallard shoulder feather is wrapped all the way around the hook so it becomes a soft hackle pattern. The emerging brown drakes are flopping all over on the surface as they try to escape their nymphal shucks and dry their wings. The Partridge 15BN size #18 is a big hook, a similar hook size.